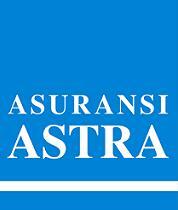 After decades of successful and distinguished milestones, Astra Insurance has established itself as one of the powerhouse in Indonesia’s insurance companies. As the winner of Indonesia Most Admired Company Award (IMAC), Indonesian Customer Satisfaction Award (ICSA), Indonesian Best Brand Award (IBBA), we are continuously growing to give the best solutions, tailor-made to perfectly match our clients’ insurance needs. Covering award-winning retail brands such as Garda Oto and commercial insurance products, our branches can be found in major cities all over Indonesia and awards. Through a series of first class development program, entitled Sales Officer Development Program (SODP), our dynamic Marketing Team in Retail Insurance Business (GARDA OTO) is currently seeking for driven individuals who can answer to the challenge of finding new promising individual accounts and ensure the rapid growth of our business. Dynamic, adaptable, self-motivated and pleasant personality. You will be authorized to make the decision or recommendation deal with the claim process (accept or reject the claim proposal). Handling the claim process with high speed and accuracy to get the maximized underwriting result and customer satisfaction, is your global main job. Your challenge is to assess risks, mainly for large industrial, manufacturing, heavy equipment, and oil/gas business accounts. You have to arrange insurance coverage & to propose insurance terms & conditions including risk recommendation and also negotiate and make reinsurance placement. Our dynamic Marketing Team in Commercial and Retail Insurance Business currently seeking for individuals who can answer to the challenge of finding new promising Corporate Accounts, assisting them to identify their custom made insurance needs and ensure the rapid growth of our business. Your challenge is to integrate your theoretical knowledge in automotive to deliver the best service to our clients and make quality judgments on automobile insurance covering. Your challenge is to handle risk engineering management for corporate sector, correctly and punctual in order to give useful recommendation in risk closing process. You are responsible of conducting surveys upon the subject matter of insurance and report the result to underwriting staff as consideration in acceptance of the subject matter of insurance. And in the end, your task is to develop the risk survey and help branch surveyor to do risk survey of special occupation/object. You also have to give recommendation to improve standard of operation and systems those are related with risk management. Candidate must possess at least a Diploma or Bachelor's Degree in Mathematics or equivalent. Responsibilities: Your responsibility will be to develop, implement and monitor the Sharia Operational Service Quality Standard to achieve Service Excellence in our Sharia Insurance business process. You will also be our role model and change agents to create, communicate and cultivate the Sharia Insurance brand awareness to our employees and corporate clients.